What is the INFORMATION_SCHEMA Schema? The Snowflake Information Schema (aka “Data Dictionary”) consists of a set of system-defined views and table functions that provide extensive metadata information about the objects created in your account. The Snowflake Information Schema is based on the SQL-92 ANSI Information Schema, but with the addition of views and functions that are specific to Snowflake. ANSI uses the term “catalog” to refer to databases. To maintain compatibility with the standard, the Snowflake Information Schema topics use “catalog” in place of “database” where applicable. For all intents and purposes, the terms are conceptually equivalent and interchangeable. Table functions for historical and usage data across your account. ANSI-standard views for the database and account-level objects that are relevant to Snowflake. Snowflake-specific views for the non-standard objects that Snowflake supports (stages, file formats, etc.). FILE FORMATS Database Snowflake-specific view. LOAD_HISTORY Account Snowflake-specific; data retained for 14 days. COPY_HISTORY 7 days Results returned only for the ACCOUNTADMIN role. LOGIN_HISTORY , LOGIN_HISTORY_BY_USER 7 days Results depend on the privileges assigned to the user’s current role. MATERIALIZED VIEW REFRESH HISTORY 14 days Results returned only for the ACCOUNTADMIN role. QUERY_HISTORY , QUERY_HISTORY_BY_* 7 days Results depend on the privileges assigned to the user’s current role. Returns results if role has been assigned the MONITOR USAGE global privilege; otherwise, returns results only for the ACCOUNTADMIN role. Each INFORMATION_SCHEMA schema is read-only (i.e. the schema, and all the views and table functions in the schema, cannot be modified or dropped). Queries on INFORMATION_SCHEMA views do not guarantee consistency with respect to concurrent DDL. For example, if a set of tables are created while a long-running INFORMATION_SCHEMA query is being executed, the result of the query may include some, none, or all of the tables created. The output of a view or table function depend on the privileges granted to the user’s current role. When querying an INFORMATION_SCHEMA view or table function, only objects for which the current role has been granted access privileges are returned. Information schema query returned too much data. Please repeat query with more selective predicates. The Information Schema views are optimized for queries that retrieve a small subset of objects from the dictionary. Whenever possible, maximize the performance of your queries by filtering on schema and object names. For more usage information and details, see the Snowflake Information Schema blog post. Warehouses Not required to execute. Warehouse must be running and currently in use to query the views. Pattern matching/filtering Case-insensitive (when filtering using LIKE). 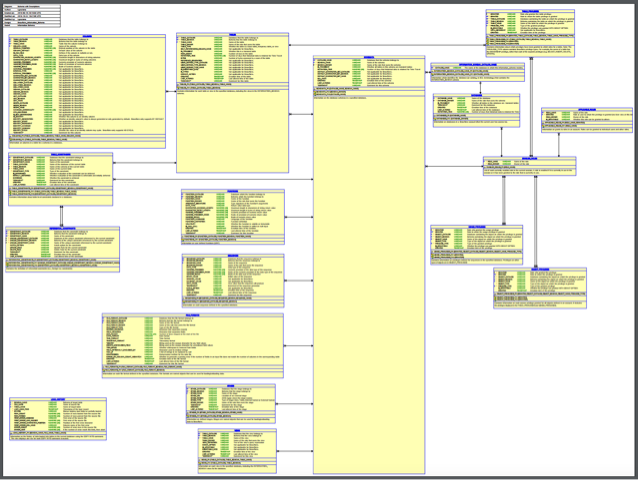 Standard (case-sensitive) SQL semantics. Snowflake automatically converts unquoted, case-insensitive identifiers to uppercase internally, so unquoted object names must be queried in uppercase in the Information Schema views. Query results Most SHOW commands limit results to the current schema by default. Views display all objects in the current/specified database. To query against a particular schema, you must use a filter predicate (e.g. ... WHERE table_schema = CURRENT_SCHEMA()...). Note that Information Schema queries lacking sufficiently selective filters return an error and do not execute (see General Usage Notes in this topic). When querying an INFORMATION_SCHEMA view or table function, you must use the qualified name of the view/table function or the INFORMATION_SCHEMA schema must be in use for the session. For more detailed examples, see the reference documentation for each view/table function.